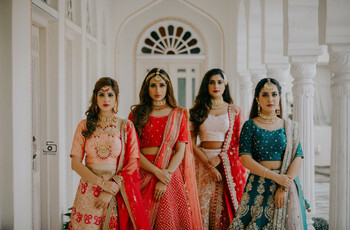 The Only Shahpur Jat Wedding Shopping Guide You Need to See for Your Bridal Shopping | Wedding Tips ARE YOU A VENDOR? 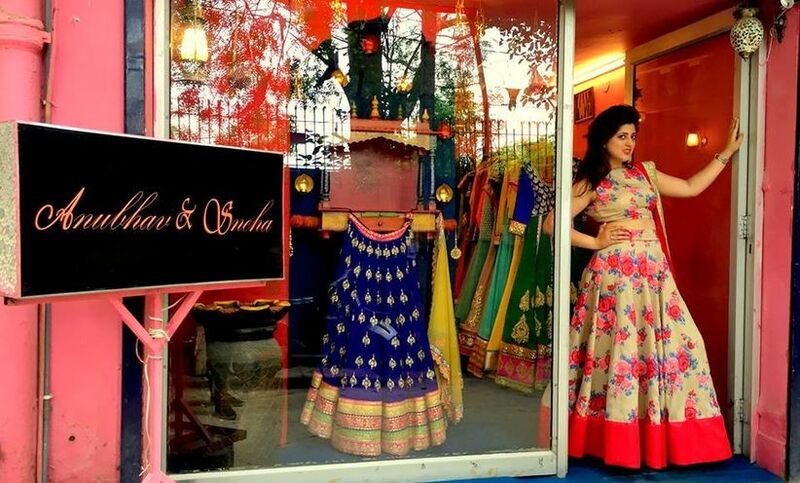 Shahpur Jat wedding shopping isn't complete without a trip to these bridal lehenga stores. 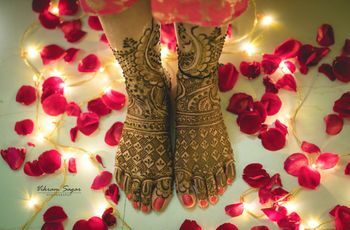 We name them, alongside others that can help you complete your wedding trousseau and book a lot of other wedding vendors. Crafting a unique, wow look for your D-day isn't an easy task. 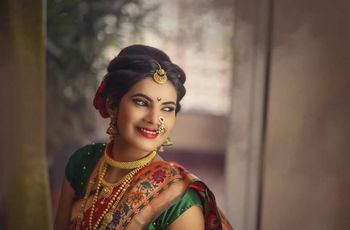 Bridal Lehenga shopping or putting together your wedding trousseau can mean hours and hours of hunting, at a high cost. However, there is an easier way to get Karan Johar-like wedding dresses in Delhi, at a reasonable price. How? 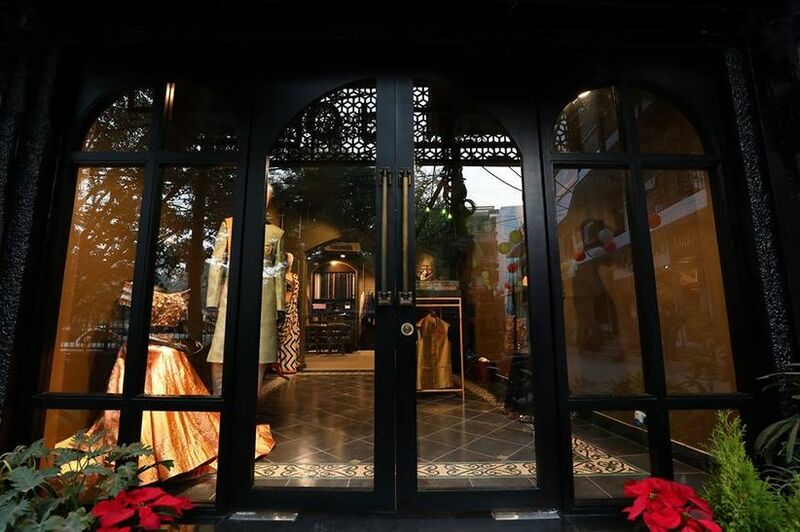 Opt for the 'Shahpur Jat wedding shopping spree', near Jungi House and find the biggest names in the wedding business. We put together a list of must-visit and good-to-go stores in the area so that you don't miss out on either. Located near Hauz Khas in South Delhi, Shahpur Jat is a strange mix of the hip urban belt of designer-wear and the rural Jatland. 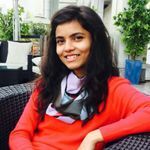 It's where you would find traditional, old-style havelis, dilapidated ruins, co-working spaces, vintage and boutique stores. Here are the top stores available in Jungi House (and beyond) for your wedding trousseau needs. Great finds guaranteed, within your Wedding Budget. 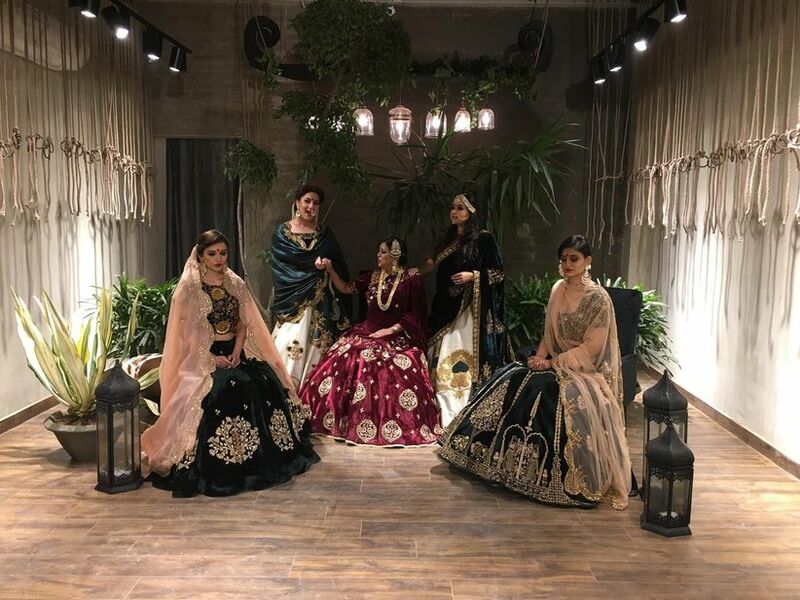 If you’re the kind of bride who loves traditional clothing with a stylish western twist to it, then the Naisha Nagpal’s 1600 AD is the place for you. 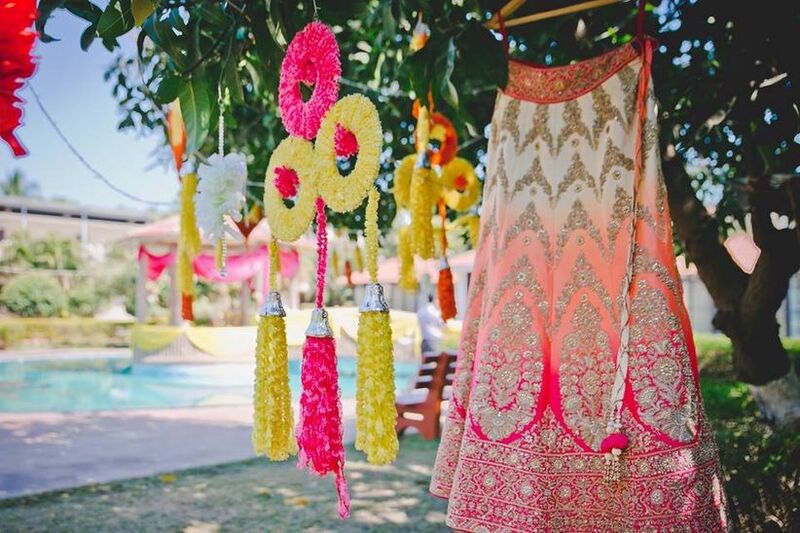 Her concept sarees, gowns and indo-western dresses can easily jazz up your mehndi ceremony. Even your mom would love to drape one of their sarees for a wedding event. In her collection, you will observe some unique textiles in vibrant hues which are perfect for a Haldi or a Mehndi ceremony. 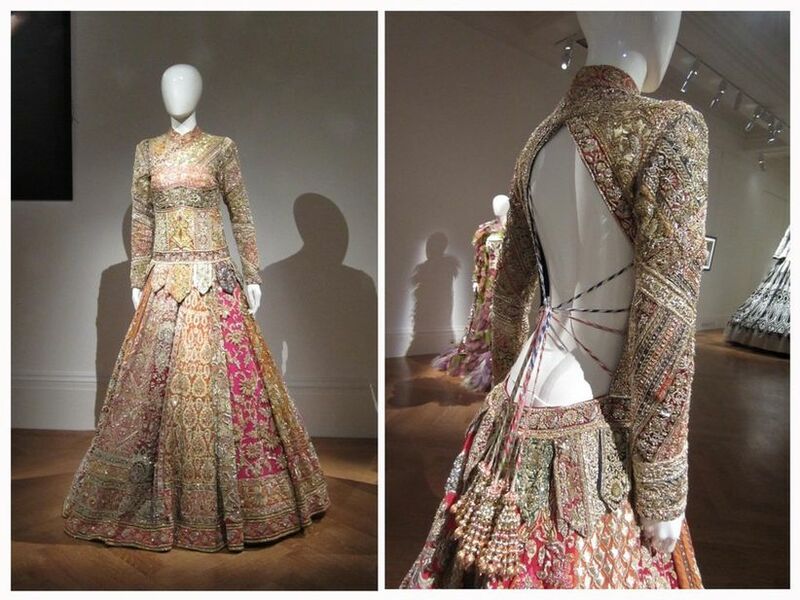 Delhi-based designer Samant Chauhan is known for creating contemporary outfits for the fashionista bride. A cocktail or sangeet ceremony is the perfect event to sport his light and elegant gowns or other western outfits. He is also a go-by name for Anarkalis, Lehengas, Kurtas and jackets (as seen in his Rajputana collection or in outfits sported by celebrities). If you want a rich and heavy bridal outfit with lots of intricate work, then a trip to Gazal Gupta Couture during your Shahpur Jat wedding shopping binge will fulfil your dream. Bespoke artwork, heavy appliques on custom-made outfits are the USPs for this brand. If you're a fan of velvet silhouettes then this is the store you must pay a visit to. 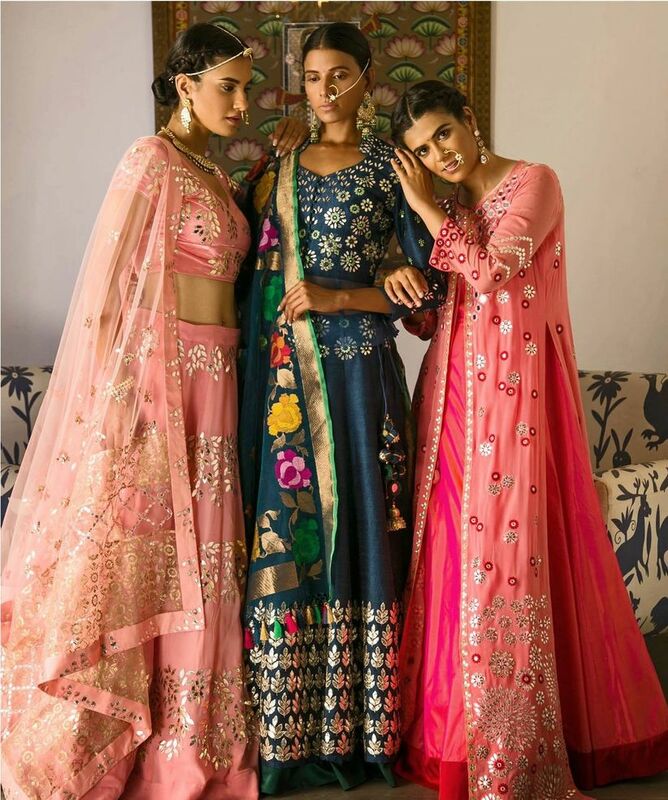 Designer duo Anubhav and Sneha can provide those signature pieces which would become the highlight for your bridal trousseau. 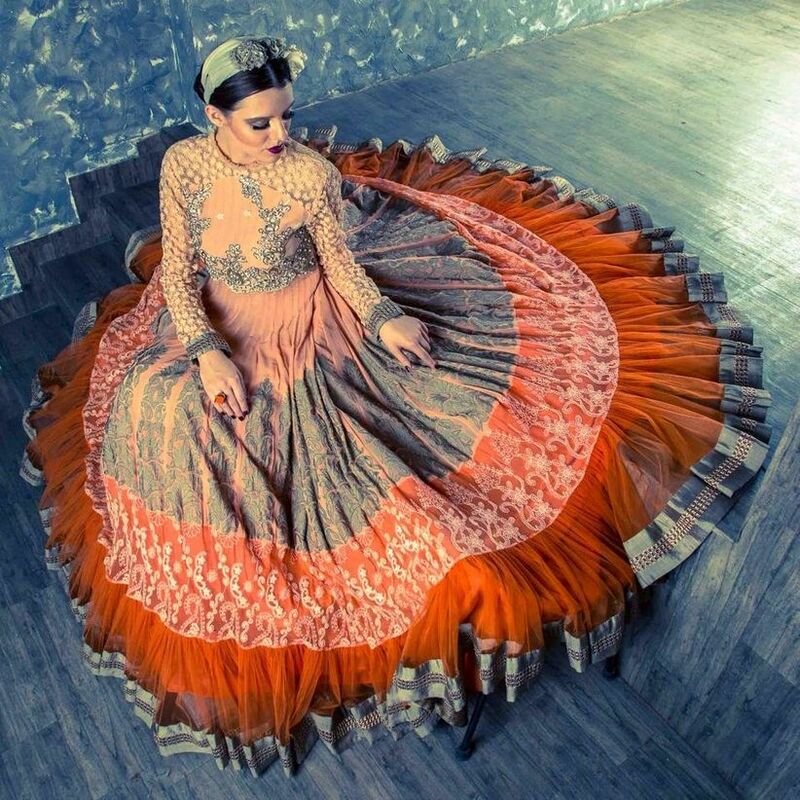 In fact, their lehengas became a rage all over Pinterest last year. Their collection features a bolt of colours which are vibrant with enamouring embellishments to add that necessary amount of bling. Isn't that what we all want in our bridal outfits? 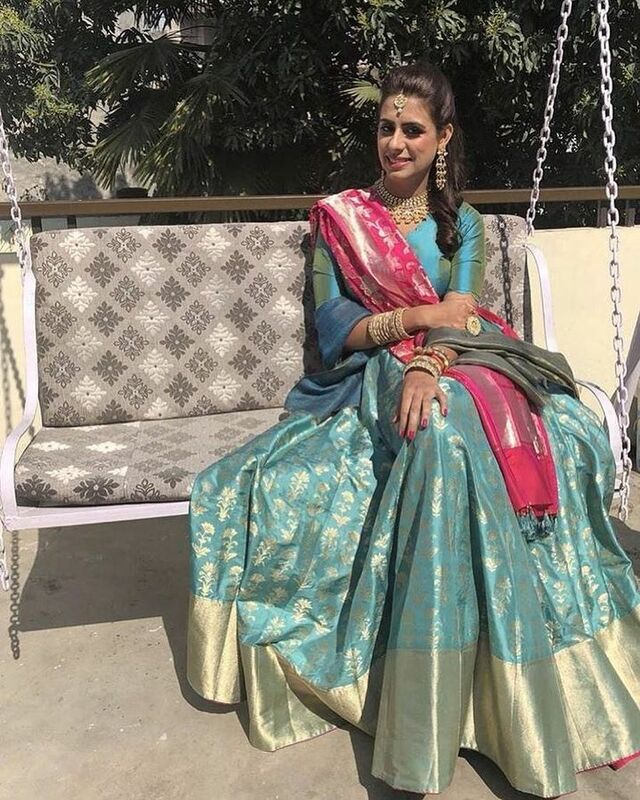 Revamping the rich and traditional Benarasi silk, Bageecha creates amazing Lehengas, suits and sarees in conventional and trending pastel shades. The motifs take centre stage in their designs and give you an opulent look. 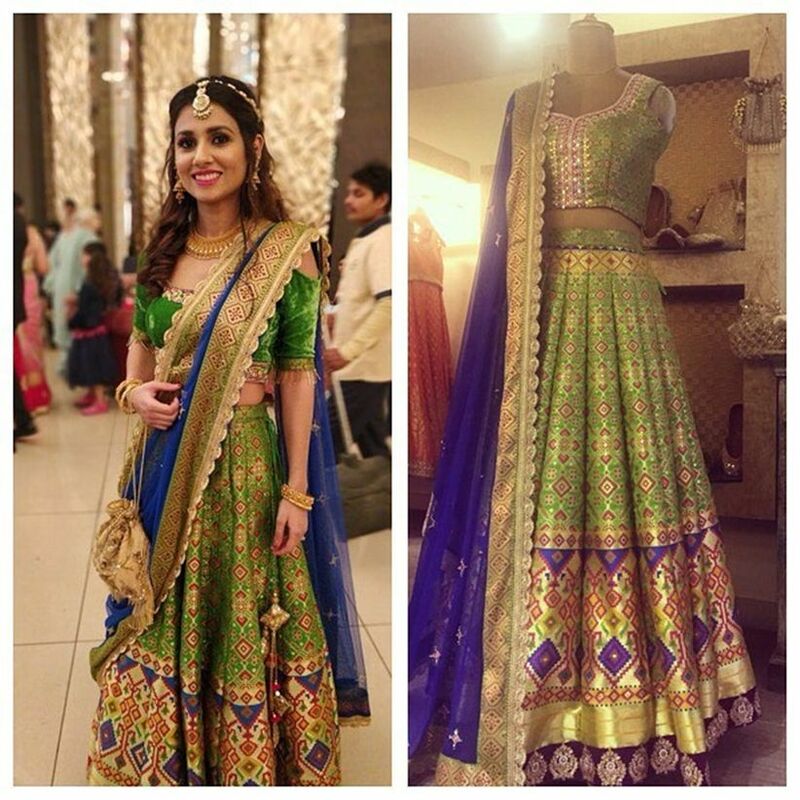 The Lehengas start from the range of ₹60,000 and above while the gorgeous heavy dupattas at ₹12,000. Combining light fabrics with beautiful borders and handcrafted embroidery, Bhoomika Grover’s creations say elegant bridal wear. Her Anarkali suits start from around ₹40,000 and the Lehengas can cost you up and above ₹50,000. Qbik offers apparels for both men and women. Right from contemporary cuts and designs to the traditional fabrics and colours, they’ve got it all. Their Sherwanis start from Rs.30,000, Lehengas from ₹50,000 and dresses and suits from ₹10,000. 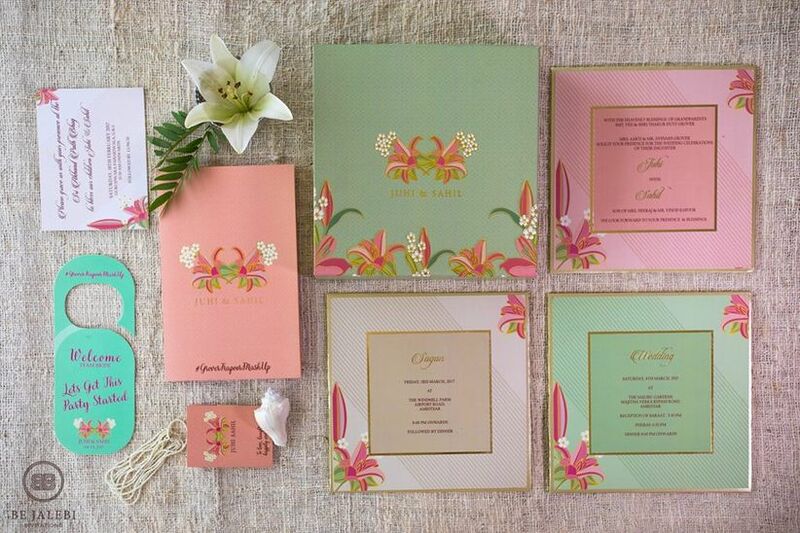 Get bespoke invitation cards while shopping for your bridal trousseau. Be Jalebi is your one-stop shop for all your wedding stationery. From vanity bags to customised gifting, they have it all. The prices for invitation cards start at ₹400 and can vary according to your selection of wedding favours to go with it. Their take on wedding invitations is unique and that is exactly how your new start should be as well. If you’re looking for comfortable heels to be wearing along with your Bridal Lehenga or at other ceremonies, head to Adaa. 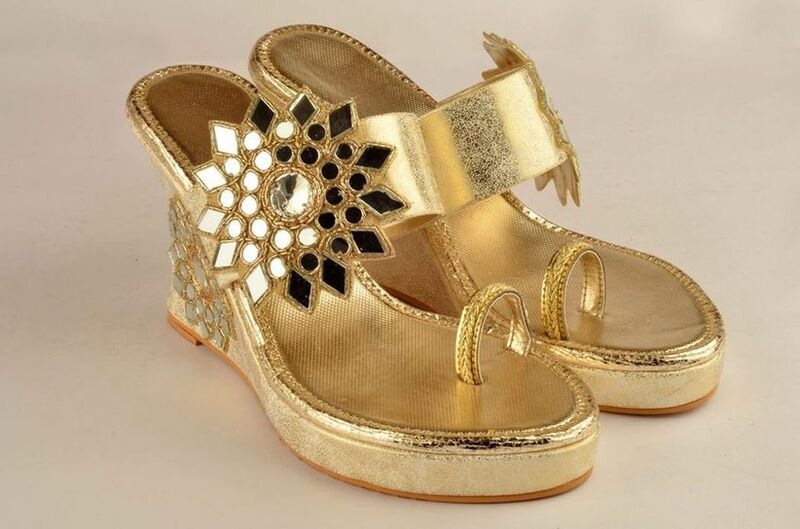 You will find gorgeous yet well-balanced wedges in shiny colours and mirror work to go with your dazzling outfits. They also create beautifully painted Juttis that you can easily carry for Haldi or Mehndi starting at ₹1000. Considering the odd length of wedding functions it is feasible for a bride-to-be to go for comfortable footwear. So, go for comfort over style and lucky for you this store has a beautiful concoction of both. These were some of the handpicked labels that caught our attention from a pool of stores which are apt for bridal shopping. 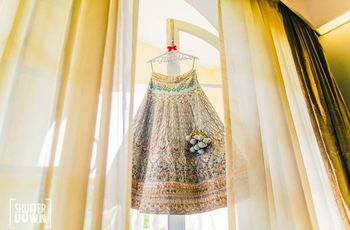 Make your Shahpur Jat wedding shopping experience worthwhile by visiting these stores and creating a Bollywood-style wedding trousseau for yourself. So, splurge your pockets and stock your bridal wardrobe now! And if you happen to stumble upon some hidden gems while you’re there, do share them and your experience, with us and our readers in the comments below! 2 comments in "The Only Shahpur Jat Wedding Shopping Guide You Need to See for Your Bridal Shopping"
Great outfits for wedding and get jewellery from https://www.vaibhavjewellers.com/ with best offers and special discounts.